Before the 2005 BDS call, there were only a small number of pro-Israel groups focused on lobbying EU institutions. 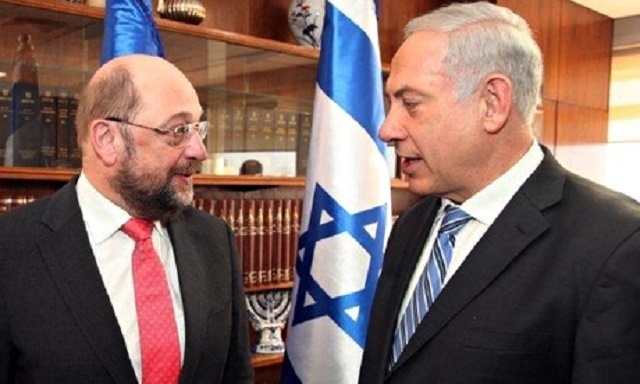 These included the European Coalition for Israel, a Christian Zionist group that is opposed to the establishment of an independent Palestinian state, and the AJC Transatlantic Institute, the Brussels branch of the American Jewish Committee. The more influential of these two organisations is the latter. According to its financial records, the American Jewish Committee allocated almost $5 million to its Brussels offshoot between 2005 and 2013. The largest known donor of the AJC, by far, is the Klarman Family Foundation, run by American billionaire Seth Klarman. Forbes currently estimates the businessman-turned-philanthropist’s worth to be about $1.35 billion. For its part, Forward describes Klarman as a ‘wealthy American Jewish investor…following in the footsteps of Sheldon Adelson and Ron Lauder [president of the World Jewish Congress and an ally of Prime Minister Benjamin Netanyahu] in acting on his belief that coverage of Israel within Israel itself is unbalanced and unjustifiably hostile — and that he can do something about it.’ Forward also reports that Klarman is a Republican donor; indeed, he is ranked as the 30th top Republican spender in this year’s presidential election. Klarman, Singer and Marcus all fund the Middle East Media Research Institute (MEMRI), co-founded in 1998 by Yigal Carmon, a former Israeli military intelligence officer, and Meyrav Wurmser, an Israeli-born American political scientist, to provide free English language translations of Arabic, Persian, Urdu, Pashto and Turkish media reports. The Center for American Progress has called MEMRI ‘the Islamophobia network’s go-to place for selective translations of Islamist rhetoric abroad’. One of its advisors is Steve Emerson, a media ‘terrorism expert’ who in January 2015 falsely told Fox News that Birmingham is a ‘Muslim-only city’ where non-Muslims ‘don’t go’. The subsequent public outcry forced him to apologise. Other US-funded organisations in the pro-Israel lobby in Brussels include the Israel Allies Foundation, a Christian Zionist initiative led by Israeli settler activist Binyamin Elon; leader of the now defunct right-wing Moledet party. Elon lives in Beit El, a settlement in the occupied West Bank. According to Salon, he has a ‘reputation as one of the least tractable and most radically right of Israel’s political leaders’. California-based bingo multimillionaire Irving Moskowitz and his family’s foundations are top donors to the Israel Allies Foundation’s American fundraising arm. Moskowitz has been buying property in occupied east Jerusalem for decades and recently acquired Palestinian farmland in the occupied West Bank for a new settlement, a move condemned by American officials. His foundations have also donated millions to Republican causes. The EU – and transparency do not appear to mix well if the evidence is examined. Fascism is creeping into every aspect of the EU and it is very ugly for those who can see it. Do not be surprised when the EU turns a blind single eye to the likes of Israel and all of its ZIO FASCISM. For those who think the EU is just a collection of coincidences such as it is a coincidence that it takes 28,000 words of legislation for one to sell a simple Cabbage – then – good luck – you will need it. For those of us like myself who are of the educated opinion the EU is a Banker/Corporation conspiracy to drive the middle class to extinction and have a new serfdom in Europe – then you will well understand – today it is the Beta test known as Palestine/Israel where the people are organ harvested and treated like sheep – tomorrow it will be others and the day after – you know where it will end up IF WE DO NOT STOP both Fascism & Zio Fascism from having its EVIL spread like Cancer.